You don’t know me!” That was the cry of vegetarians and vegans a few short years ago. Today, about 4% of consumers say they are vegetarian or vegan, a figure that is down from 9% in 2014, according to Technomic’s Center of the Plate: Seafood & Vegetarian Consumer Trend Report. If that doesn’t jive with your personal or professional experience, keep reading. The most recent report offered options like “pescatarian” and “flexitarian.” Those consumers may have lumped themselves into the “vegetarian” category last time, just to show that they’re not regular old meat eaters. About 15% of consumers today say they restrict meat in their diet in some way. And 21% of younger consumers do. As the population’s age distribution shifts, specialized diets may become even more common. At the same time, more consumers are reporting that they eat meatless meals. While 15% of consumers follow vegetarian or other meat-restricted diets, 20% say they eat meatless meals at least once a day. Indeed, 59% of consumers say they eat meatless meals once a week or more. Another indicator that “vegetarian” is out but vegetables are in: 41% of consumers say they’re eating more vegetables than they were a year ago, and 16% are eating more vegetarian or vegan options. And 24% say they’re eating fewer vegetarian options, while 8% say they’re eating fewer vegetables. Holistic approaches to health are increasingly driving meatless choices. More consumers now than in 2014 say they eat plant-based foods to be healthy (52%, vs. 47% in 2014), to feel well physically (37% vs. 32%) and because it is more socially responsible or sustainable than eating meat (23% vs. 16%). More women than men say they eat meatless because it’s healthy, aligning with their greater emphasis on health, but they are also more likely to say they enjoy the taste of plant-based items. Whether it motivates their behavior or not, a majority (55%) of consumers consider vegetarian and vegan options to be healthier than beef and pork. Likewise, 43% say they’re healthier than chicken and turkey (a figure that is up from 35% in 2014), and 40% say the same of seafood (up from 33% in 2014). Limited-service operators have been slow to respond. 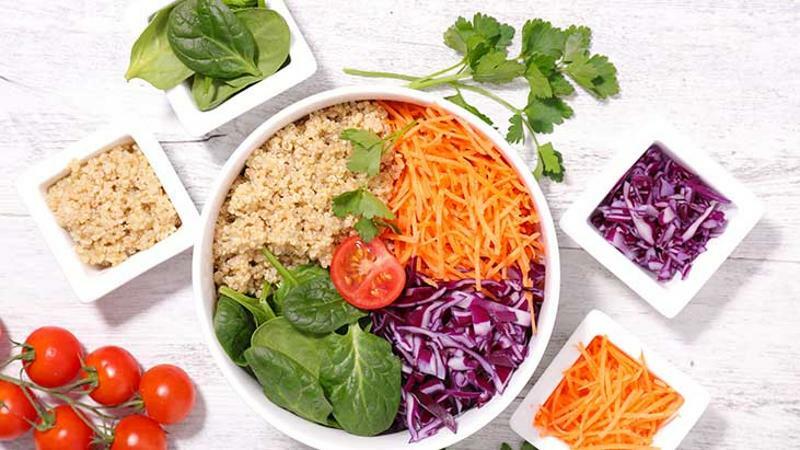 Just 26% of LSRs among Technomic’s Top 500 Chain Restaurant Report offer vegetarian entrees, and 8% of them offer vegan entrees, MenuMonitor shows.